12 Comments	This post may contain affiliate links. 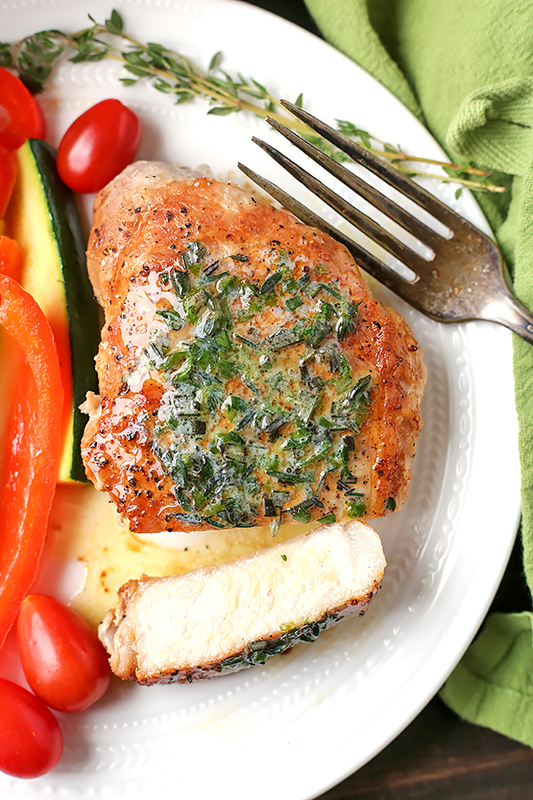 These Paleo Whole30 Pork Chops with Herbed Butter make a quick weeknight meal. 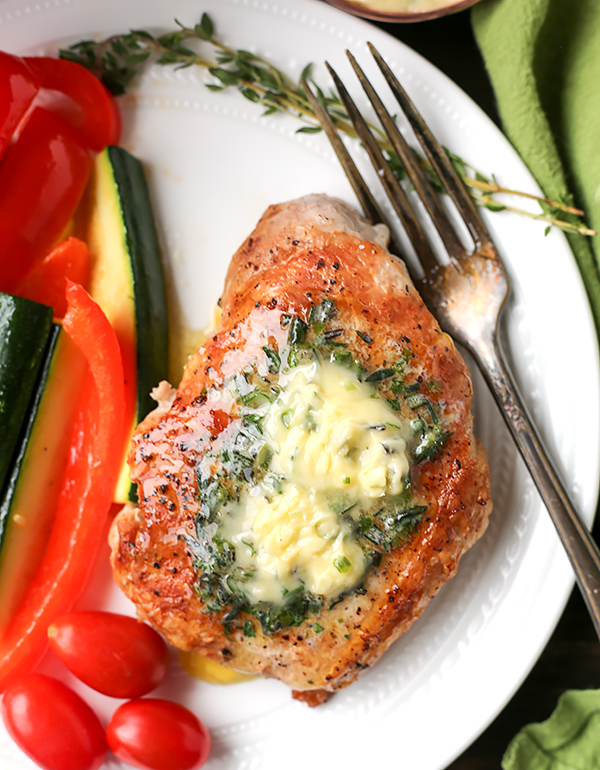 Tender, juicy pork chops topped with an easy butter filled with fresh herbs. Gluten free, low carb, low fodmap, and keto. 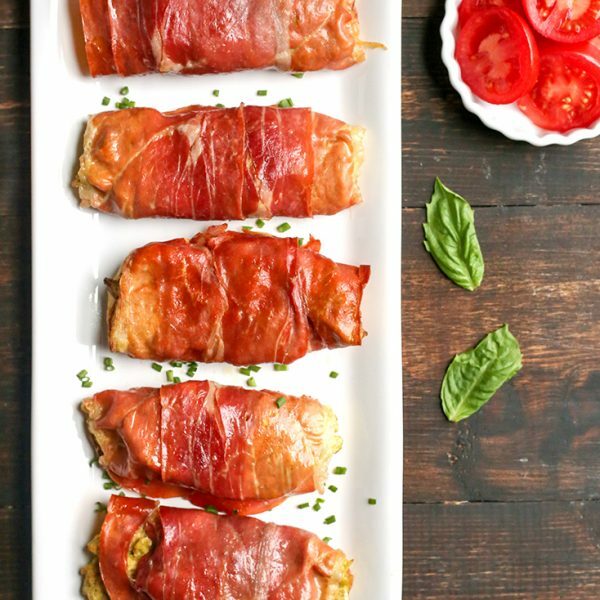 This recipe comes from a new cookbook, 30-Minute Ketogenic Cooking, by Kendra of Peace, Love, and Low Carb. This cookbook has over 50 recipes that can be made so quick. They aren’t all paleo, but can be easily adjusted. If you eat dairy then you will be able to enjoy all the recipes. She was kind enough to let me share a recipe and I just had to share these pork chops. 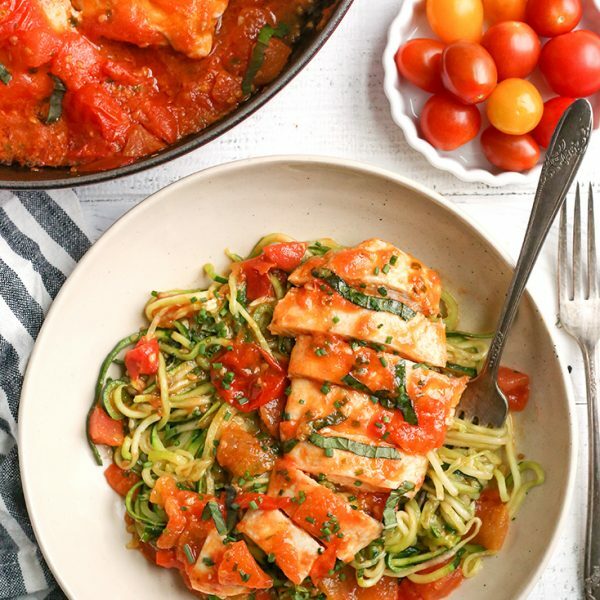 A few more recipes that I’m looking forward to: Strawberry Spinach Salad, Cucumber Dill Tuna Salad, Spicy Sausage and Cabbage Stir-Fry, Greek Meatballs, and Zucchini Noodles with Hamburger Gravy. There’s even a dessert section with quick, easy desserts and a whole chapter on homemade seasonings, sauce, and dressings. Now a little about these pork chops- they blew me away. I was expecting them to be good, but not this good. 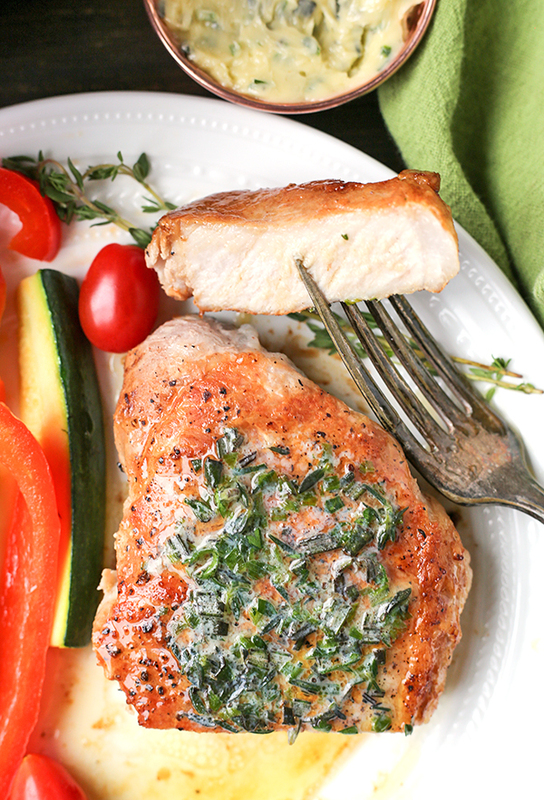 Pork chops can sometimes be tough and dry, but not these. Golden brown on the outside and juicy on the inside. Only 12 minutes of cook time and they’re ready. Of course covering them in butter doesn’t hurt! The herbed butter is the real star of the show. 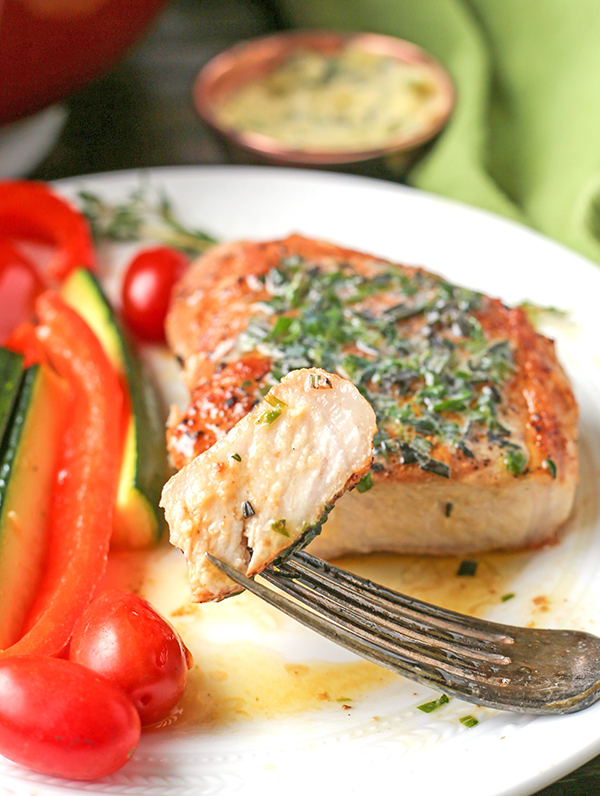 Fresh thyme, rosemary, chives, and parsley are mixed in and the fresh flavor pairs perfectly with the juicy pork chop. Do yourself a favor and make a double batch of that butter because you will use it on other things like roasted veggies, chicken, and salmon. The recipe does call for grass-fed butter so if you need it to be Whole30 then use ghee. That’s a simple switch! You can make the butter while the pork cooks or make it ahead of time and dinner will come together even quicker. I served these with a side of roasted red pepper and zucchini. 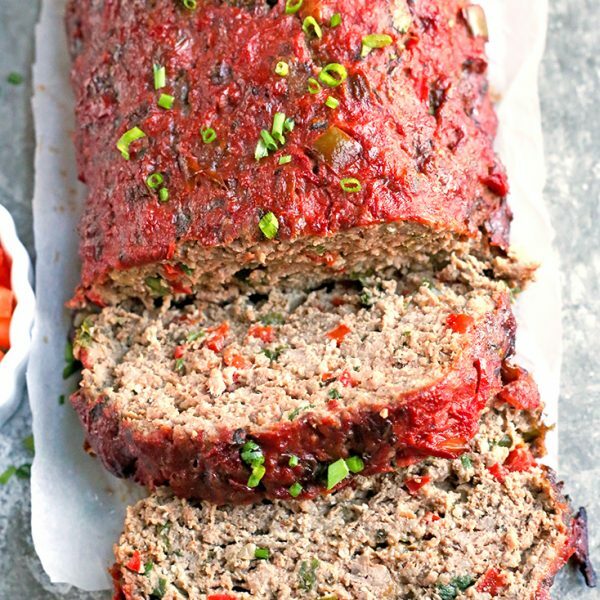 If you love quick and easy meals (who doesn’t? ), then you have to check this cookbook out! She has you covered with fast and flavorful. I already have plans to make these again and I highly recommend you try them as well. You will not be disappointed! Heat olive oil in a large skillet over medium heat. Season the pork chops on both sides with salt and pepper. Place the pork chops in the skillet and sear on both sides until they are golden brown and cooked all the way through, about 6 minutes per side. While the pork chops are cooking, make the herbed butter. Place the butter (or ghee) in a small bowl and add in the chives, parsley, rosemary, thyme and garlic oil. Mix until the ingredients are well incorporated. Top each pork chop with one-quarter of the butter before serving. 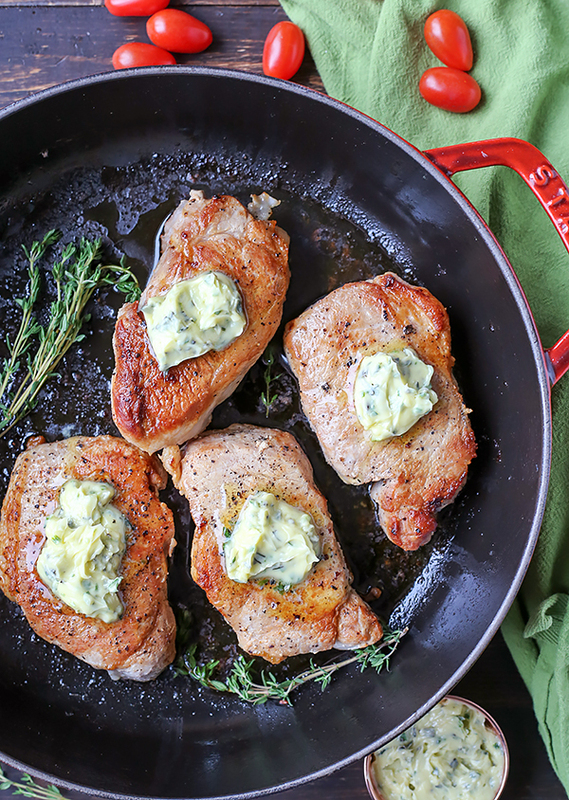 Herb butter and pork chops – sounds like a winning combination. 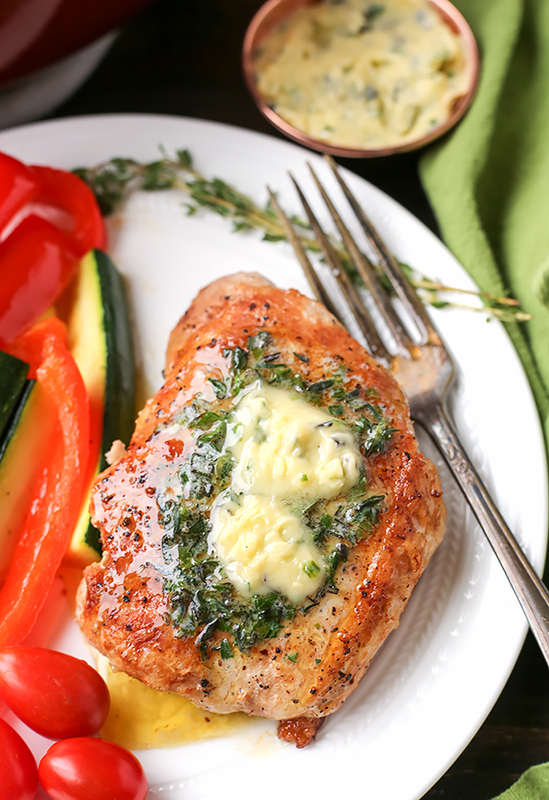 I love herb butter but never tried it on pork chops, steaks usually. Thank you! 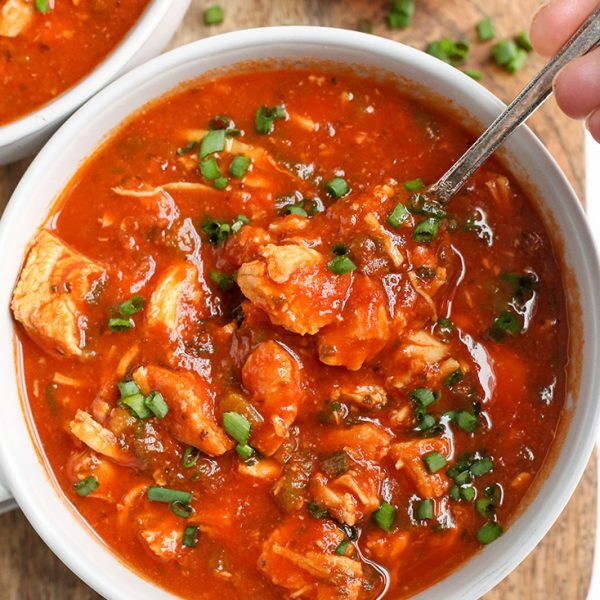 These were a hit and I love that I didn’t have to heat up the house with the oven this time of year – quick, easy and delish! You’re welcome, Linda! Thank you for trying it and for the great feedback! Yes, a great summer recipe!